Oftentimes, I find that simple is always better. There’s no need to cloud your message with too much craziness going on. 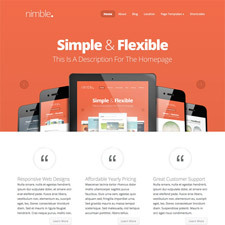 If streamlined is what you’re after, then Profile free WordPress theme is a perfect fit for you. 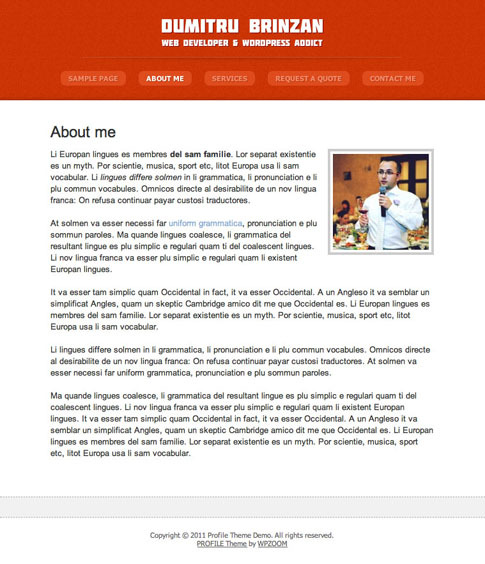 Profile is light and minimalistic, working best on small presentation oriented sites, or as an online business card. Profile is great for establishing an online presence quickly — and I bet you could do it in less than five minutes with this fabulous free theme! 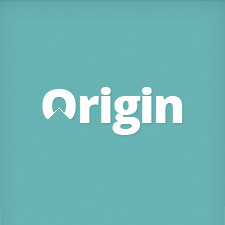 Come back and check out the showcase as we find more sites from around the web using Profile. Make sure to check out all of the free and premium themes that WPZOOM has to offer!